Writing Christmas card messages is one of the most cherished moments of the year for some. It is a time when you let your friends and family know how much they matter to you and how much you remember them. 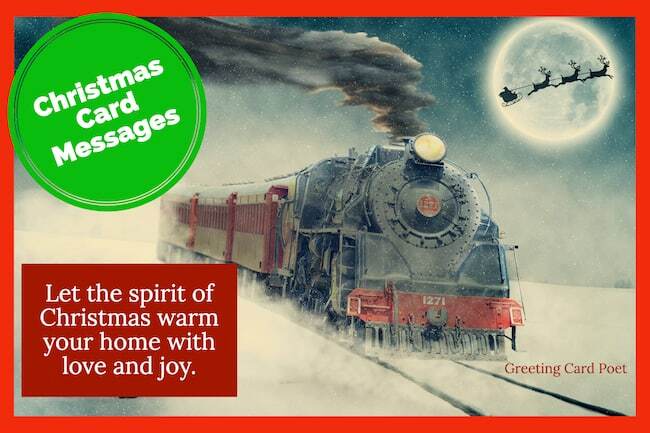 While you will be sending dozens of cards, make sure each one has a unique Xmas greeting. Every message should spread joy this holiday season and fill your loved ones’ hearts with love, peace, and happiness. Writing that perfect Christmas season card can be a challenge, but these greetings make it easier for you to show your love and care. Love you to the North Pole and back. Dear Santa, It’s a long story. It’s not what’s under the tree that matters. It’s who’s gathered around it. May God bless you with a festive, loving and peaceful celebration this holiday season and all throughout the year. I love Christmas a lot, but not as much as I love you. I can’t imagine spending the holidays without you. You are such an important part of my life. It’s the most wonderful time of the year. Let us celebrate by spreading goodwill and holiday cheer. May the melody and spirit of the holidays fill your home with love and peace. I wish you all the best. In this loveliest and happiest of seasons, may you find many reasons to celebrate. Have a wonderful season. Christmas is a good excuse to send cards to all my favorite people. Wishing you a wonderful holiday season! The bells are ringing everywhere, and Santa’s on his way, there’s peace blanketing the snow-covered land, on this special day. May the sights and sounds of X-mas work their merry magic in your heart. A special wish: May you never forget what is worth remembering or remember what is best forgotten. Santa is funny – He brings you gifts but the catch is you have to sing a song before you open them. May the sweet magic of the season conspire to gladden your heart and fill every desire. May the timeless message of the season fill your heart and home with joy now and throughout the coming year. Let the spirit of the season warm your home with love, joy and peace. Have a blessed day. Xmas brings family and friends together; it helps us appreciate the love in our lives we can often take for granted. May the true meaning of the holiday season fill your heart and home with many blessings. Be motivated in everything that you do. Your will is very helpful in reaching your dreams. It is very simple to do yet it yields powerful results. May Santa bring you the gifts you want and may you never take your blessings for granted. Be thankful and happy holiday wishes to you. Hope your holiday’s filled with plenty of ho-ho-ho. Money is scarce, times are hard, but I still managed to get you a card. Just think how bright Jesus’ birthday cake would be if he had a candle for each year since his birth. Good thing he recently switched to LED candles. For Xmas I got you pants with an elastic waistline that you can wear through January. You’re welcome. May your fun be large and bills be small this year. All the best from our house to yours. I had no idea what to write to a friend in a card, so I figured I’d try writing to you first. Thinking of you this season. Yule be on my mind. There’s usually only one person I can remember to buy a birthday card for each year. His name is Jesus. If you don’t like my present, it’s because you have bad taste. I’ll still wish you the best this season. Xmas is a special time to think about peace, love, joy, and weight gain. When people ask me to prove that Santa is real, I ask them to prove to me that he isn’t. I’m trying something new this Christmas. I’m going to wrap myself up and sleep under the tree so you’ll finally understand what a gift I am to all of you. I put so much thought into your gift that it’s now too late to get it. Imagine something great. Hope your holiday season is bright enough that you need sunglasses. The best thing about the holidays is getting to catch up on sleep and TV shows. Enjoy. What’s red and white and round all over? You. After drinking a little bit, eating too much, and rolling around in the snow. Christmas is a time for remembering family and trying to guess everyone’s sizes. Have a wonderful holiday season. 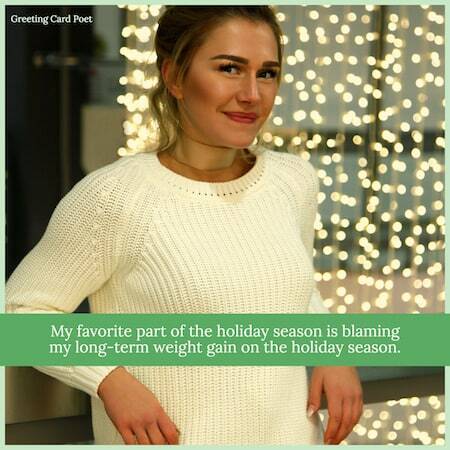 My favorite part of the holiday season is blaming my long-term weight gain on the holiday season. Have yourself a merry little Christmas; let your heart be light. This Xmas, my wishes for you are endless; I wish that you have the best health, find love, delightful days, blissful year, bright future, energetic hours and everything that comes with good tidings. Holy Christmas Night. On this holy night may your heart be illuminated with love, joy and peace. We wish you a wonderful season. The holidays are a time to open our hearts to God and his gifts. Just like the rest of the year. May success be with you and everything you do. Happy Holidays! I hope you awake on Christmas morning feeling like a child again. Merry Xmas and all the best in the New Year. We’re sending our very best wishes and we’re adding this special thought too…an extra Merry Xmas we bring all of you. May the spirit of Xmas bring you and your family hope, happiness and love. Wishing you give and receive much love, joy, and peace this season. Good tidings to you and your family. Xmas can be many things or it may be a few, but all I wish on this holiday is the best for you. The approach of the glad Christmas tide always fills the heart with joy and hope, and quickens into sweet activity a thousand loving thoughts for others. May God’s mercy and kindness surround you this Christmas and carry you into a blessed new year. Let us remember that the Christmas heart is a giving heart, a wide open heart that thinks of others first. In this season of hope, let’s help those who need it most – the homeless, the hungry, the sick and shut in. Let us not forget that the first Christmas was a homeless one. A humble man and woman had gone up from Galilee out of the City of Nazareth to Bethlehem. This Xmas, I want you to sing, laugh, reminisce, cry, if you have to, then sing some more and do it all around a full table of food, family and friends. Happy Holidays. Chilling air, warm cup of coffee, cozy blanket and cuddles full of love. The best time of the year is here, Happy Holidays my dear. The real joy of the holiday season is the opportunity to say thank you and wish you the very best. Have a fun filled Holiday. May the good cheer last throughout the year. Wishing you a wonderful holiday season. My favorite part about the holiday season are all of our Christmas memories together. I’m so thankful to have such loving people in my life. Here’s to many more Christmas memories and too many cookies. Holiday Wishes. This season, may you be blessed with laughter, peace, and love. May you get to spend the most fun and frolic time with the ones you care this holiday season. Happy holidays! Happy Holidays. Wishing you every happiness that comes with this holiday season and throughout the coming years. The most magical time of the year is here; happy holidays my dear. Cheers to a cold season as you cozy up in the comfort of your warm home. Happy holidays. Winter holidays are the best time to meet and greet the loved one. Hope you have a memorable holiday this year. Love, joy and peace are the ingredients for a wonderful holiday. We hope you find them all this festive season. Christmas is doing a little something extra for someone else. With sincere appreciation for your friendship and goodwill, we wish you all the joys of this holiday season. Feeling grateful this season for the awesome friend I have in you. You light up my life like a X-mas tree. I am grateful to be your friend. The true meaning of the season is remembering special people like you. Your friendship and your love is the best Xtmas gift that I’ve gotten. Friends like you are as magical as the holiday spirit and as rare as Santa sightings. Even more than X-mas decorations, friends are what really light up my life. You brighten my day and many other days of the year as well. Merry Xmas to the best friend ever. Santa knew just what I wanted when he brought you into my life. Friend. I hope your Christmas is full of love and eggnog and laughter and cookies. Tip: In addition to using these Christmas card messages for notes, consider some for photo caption on Instagram and Facebook. Season’s Greetings from the family. Hope you all end the year on a bright note. May our bonds become stronger in the new season and may we walk the path of prosperity. May your fire be warm and your home be bright. Xmas is the time to spread joy and glee. I do it by extending my wishes to you. Let happiness surround you this season. May the festival bring you lots of joy. Decorate your porch for Santa is coming to your home to wish you the best this season. May your Xmas season be filled with joy and light. May Santa bring you the gifts you want and may you never take your blessings for granted. Be thankful this season. Happy holiday wishes to you. May your home be always filled with laughter and happiness. Wishing you a joyous holiday season from the depth of my heart. May the new season bring good fortune for you. Deck the halls with boughs of holly surround yourself with those who are jolly and have a wonderful new year. Bid adieu to all your worries because it’s time to rejoice. May your fire be warm. Your chocolate be hot. I wish you and your family all the best. Enjoy like there is no tomorrow. The holiday season is here. 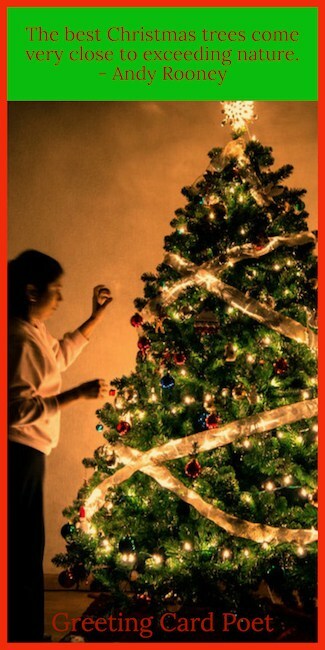 It is time to decorate the tree and indulge in festivities. Before the church bells ring, before the holy star appears, before networks get jammed, let me wish you the best this season. Sending you and your family warmest wishes this season and hope the new year is the most special for you. Whether or not you’re walking in a Winter Wonderland, have a wonderful holiday season. 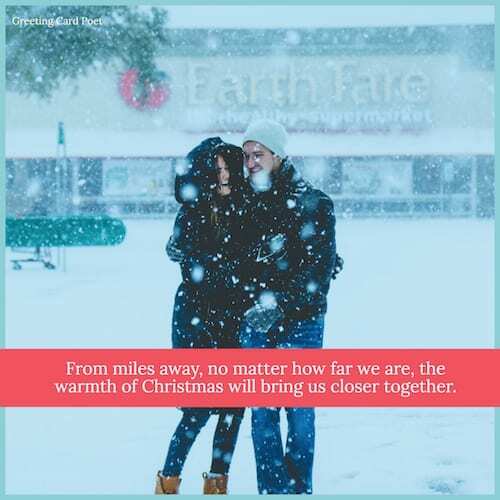 From miles away, no matter how far we are, the warmth of the season will bring us closer together. May you have a wonderful holiday. 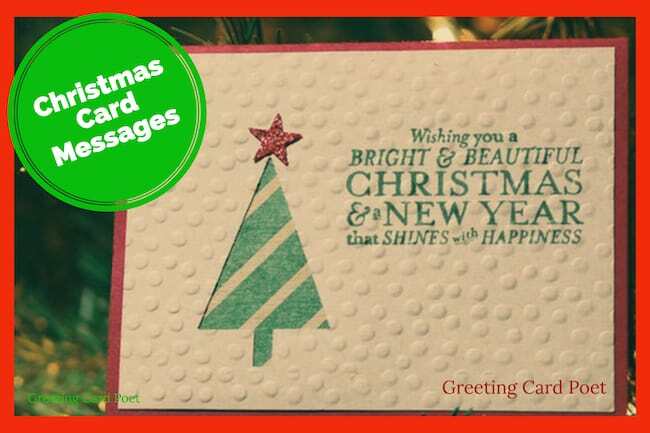 You are on Christmas Card Messages, Sayings and Ideas page. All the Anxiety Quotes in this world can never come close to the suffering that people with this condition have to go through. A condition that is so diverse and complicated, it is marked by nervousness, worry, fear, stress, and depression. It takes you into a world from where there seems to be no way out. Whatever may cause it, it takes an immeasurable amount of effort and courage to make your life normal again. 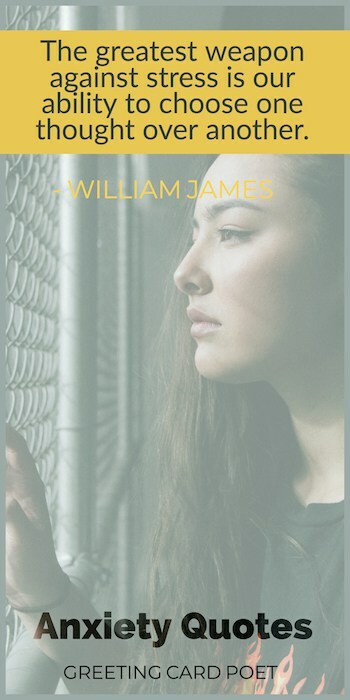 Whether you are suffering from stress and anxiety yourself or it is a loved one, these quotes on anxiety emphasize the extremeness of this state. But that doesn’t mean that suffering from stress and depression has to be an endless journey. You can always improve your life by overcoming these feelings. You can never become a great man or woman until you have overcome anxiety, worry, and fear. To each of man’s ages the Lord gives its own anxieties. To suffer some anxiety, some depression, some disappointment, even some failure is normal. Trying to be a perfectionist bring increased stress and hinders performance. I get nervous when I don’t get nervous. My anxiety doesn’t come from thinking about the future but from wanting to control it. Anxiety’s like a rocking chair. It gives you something to do, but it doesn’t get you very far. A warrior of the light…never confuses tension with anxiety. You don’t have to control your thoughts. You just have to stop letting them control you. Anxiety and depression are the price you pay for a well-lived life. We probably wouldn’t worry about what people think about us if we knew how seldom they do. The shy and the extroverted have this in common – that they both fancy they are the center of attention. Social anxiety results from being around people who are resolutely opposed to who you are. Fear, anxiety and neurosis: that’s just in the suitcase when you’re an actor. We are always doing something to cover up our basic existential anxiety. The fear of being laughed at makes cowards of us all. Much of the stress people encounter is derived from dishonesty. People first lie to themselves and then to others. I get irritated, nervous, very tense or stressed, but never bored. When you find yourself stressed, ask yourself one question: Will this matter in 5 years from now? If yes, then do something about the situation. If no, then let it go. Stress is not what happens to us. It’s our response to what happens. And response is something we can choose. Stress is caused by being here but wanting to be there. If you treat every situation as a life and death matter, you’ll die a lot of times. Being nervous isn’t bad. It just means something important is happening. Nervousness always provokes mistakes, and mistakes lead to easy convictions. Don’t try to be what you’re not. If you’re nervous, be nervous. If you’re shy, be shy. It’s cute. When you feel nervous, recall your pride. 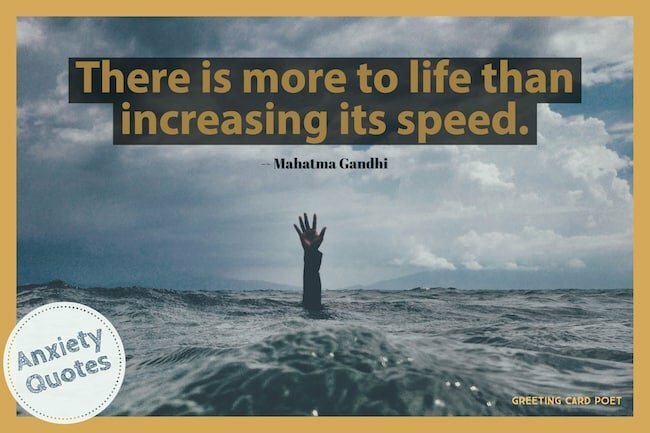 Sometimes when you’re just thrown into something, you are more ready for it than when you have time to think it over and get nervous about it. If you’re not nervous then you’re not paying attention. A nervous silence loosens tongues. Butterflies in your stomach. More like killer bees. If you’re not nervous, it means you don’t care. 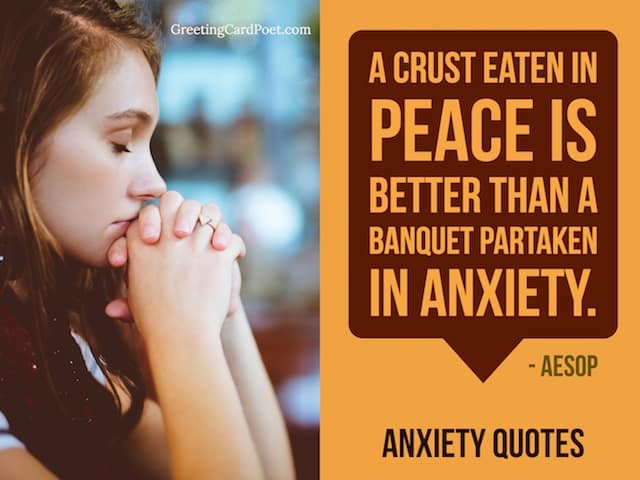 Tip: These anxiety quotes can make a nice addition to a greeting card to pick up a friend’s spirits. Don’t let your mind bully your body into believing it must carry the burden of its worries. The way to secure success is to be more anxious about obtaining than about deserving it. Release all the anxiety that keeps you from moving ahead. Keep breathing it out and letting it go. Never let life’s hardships disturb you … no one can avoid problems, not even saints or sages. It’s not stress that kills us, it is our reaction to it. Stress is an ignorant state. It believes everything is an emergency. Nothing is worth your health. Nothing is worth poisoning yourself into stress, anxiety and fear. No point is stressing over something you can’t change. Move on & grow stronger. 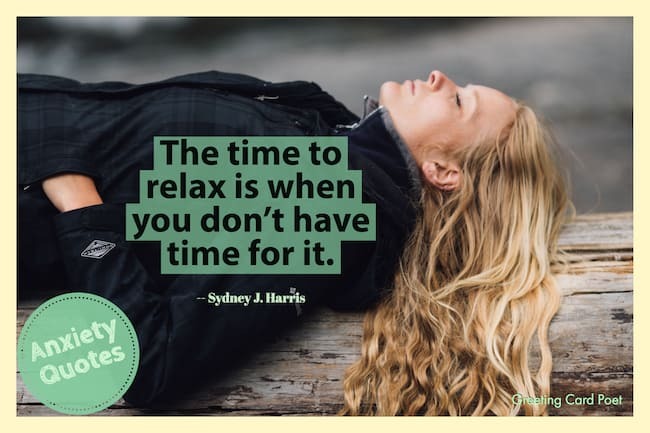 Much of the stress that people feel doesn’t come from having too much to do. It comes from not finishing what they’ve started. In the anxiety to get beautiful color harmony do not exhaust all combinations on one canvas. 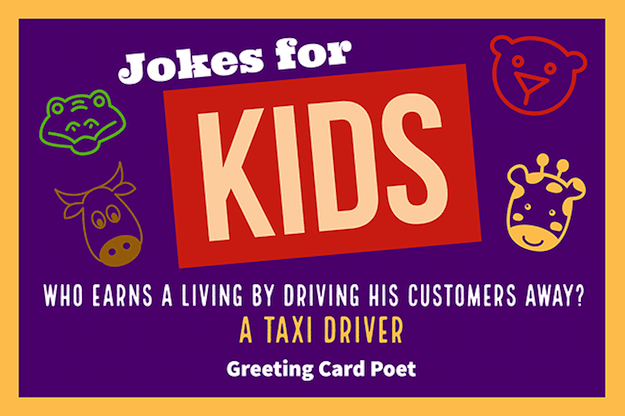 These jokes for kids are so funny, they’ll make grownups crack up, too. We all know that one of the easiest ways to make children smile is to tell a silly or funny joke. The rejuvenative powers of laughter not only makes you feel good but it can also benefit kids, as it impacts both their emotional and physical health. When you’re stuck on a long car ride or you just feel like having some good wholesome fun together at home. So, here is our giant list your kids to take turns reading and laughing out loud. To help you maintain your sanity and keep your kids amused, these rib-ticklers are sure to please the whole family. After reading through and picking your favorites, you can even try and make some of your own! What did the snowman say to the other snowman? Do you smell carrots too? What is a tree’s favorite drink? How do you close an envelope under water? What animal always breaks the law? Why don’t cars play football? Because they only have one boot. What did the sea say to the penguin? What do you call a dog in your toilet? What the same size and shape of an elephant and weighs nothing? What do elephants have that no other animal does? Why is tennis such a loud game? Because each player raises a racquet. Noah good place to get something to eat? Luke through the peephole and you’ll see. Sadie magic word and I’ll disappear. Claire the way, I’m coming through. Mikey doesn’t fit in the keyhole, let me in. Canoe help me with my homework? What is a cat’s favorite color? Why did Charlie go out with a prune? Because he couldn’t find a date. What do you call a dinosaur when it’s asleep? Because fish live in schools. What is a computer’s favorite snack? What does a spider’s bride wear? Where do computers go to dance? What letters are not in the alphabet? The ones in the mail. It just wasn’t peeling well. What is a rabbit’s favorite dance style? Check out: Awesome, Challenging Riddles. What do you call a smart group of trees? What did one horse say to the other at the dance? What makes the calendar look so popular? It has so many dates. How do you know if a vampire has a cold? What did the horse say when it fell? I’ve fallen and I can’t giddyup. I think I’m coming down with something. More Corny Jokes and Memes. How do you fit more pigs on your farm? What did the farmer call the cow that had no milk? Where do mice park their boats? At the hickory dickory dock. What goes tick-tock, bow-wow, tick-tock, bow-wow? When is a well dressed lion like a weed? 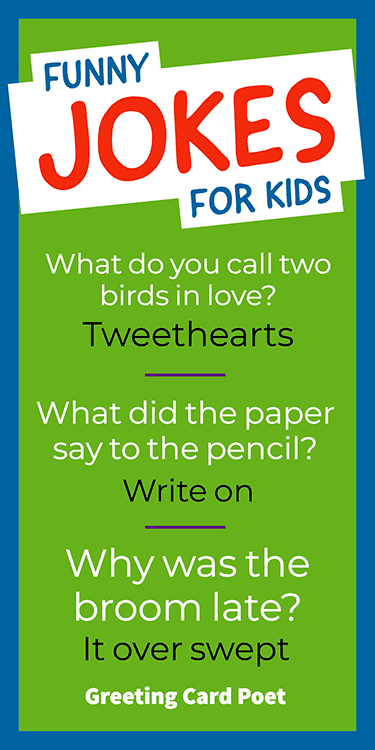 Tip: These jokes for kids are great additions to lunch bags. Just write ’em out on post-it notes. Did you hear about the kidnapping in the park? Why is it so windy inside a sports arena? What did one egg say to the other? What does a cloud wear under his raincoat? Why did the tree get a computer? What do porcupines say when they kiss? When is a baseball player like a spider? When he catches a fly. How do you keep a bull from charging? Take away its credit card. Where does a polar bear keep his money? Why did the man get fired from the orange juice factory? What did one tonsil say to the other? Better get dressed, the doc’s taking us out tonight. What is black and white and goes round and round? A penguin in a tumble dryer. What wobbles in the sky? What’s a monster’s favourite game? What animal is always lost? What has four legs but never runs? What do you with a sick wasp? Who granted the fish a wish? You’re on our Jokes for Kids page. Writing a love letter to someone means telling them much more than your love for them. It makes an even deeper impact when you tell them that you respect them too. It matters even more when you tell them what you love and respect about them and why! When you tell someone how much you admire them, it works as one of the most powerful tools to create space in their heart for you. So your love letter should be much more than just a letter full of words of ‘love’. It should also be about your respect and admiration for them and appreciation for what they do. Before you start writing – don’t make the mistake that most people make when writing a love letter. Never follow perfection! Your love letter doesn’t have to be perfect. What is most important is to write what’s in your heart for the person. This guide will help you fill up your love letter with the right words that matter and can make the difference. Anyone who has ever written a lover letter knows that the most difficult part is the beginning. Finding the first few words can be the most daunting task. You will have lots of things in your mind, but wouldn’t be able to decide where to begin from. The most effective way to get started is to express what you are feeling at the moment. Once you do that, it will become easier to go with the flow. One direction is to build off notable quotes on love or romance quotes. How You Feel About the Person & Their Qualities? A love letter is more about the person you are writing to and how they make you feel. Most importantly, tell them precisely why you are taking all the time to write to them. Make sure you tell them about your affection from the beginning. Describe all the things that they do or did and how you feel about them. Tell them what you think are their best qualities and what they may have done that made you feel grateful. These should be qualities that you think make the person seem special to you. Also describe how you feel your life has changed after he came into your life. This can give the person a perspective into how important he is in your life. The love letter should tell them how you feel about all these points about them. This is a place you don’t have to over-think. The qualities you appreciate in them may or may not be what the person considers to be their best. All you should do is to focus on what you like about them and what your heart says. Be Expressive – You should be as expressive as possible when writing a love letter. This is important and can make all the difference. Don’t generalize or be casual at any time. The person you are writing to matters to you a lot, and make them feel so. Use the right words that describe your feelings effectively. Keep It Simple – When writing a love letter, keep everything simple. Love is expressed best when you don’t have to try too hard. In fact, you should try to share your deep feelings without trying to impress the person. You don’t have to be a great writer to create a piece of poetry. It can be simple, beautiful, and moving without having the most flattering words. Shared History – Another thing you can write about is a happy memory that you may have shared with them. If you have spent some time together, there will be happy moments. Your love letter can relive the details of just a single one and you can share your feelings of the event. In fact, this can be one of the best ways to start your love letter. 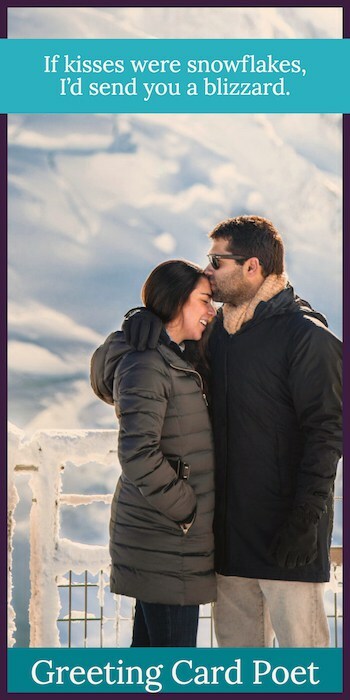 It will not only remind the person of the time you spent together, it can also make them feel special about you for remembering the details. Such shared memories will help the person connect them readily. When you also describe how you feel about the time spent together, you allow them to see things from your perspective. You can also give a hint of how excited you feel about spending your future life with him. These can also include the things you look forward to share with him. If you don’t have any shared moments with the person, you could recall the first time you saw them. It could also be the time you fell in love with him. Tell them how you felt about him at that moment and what all you wanted to tell him. Where Does Your Relationship Stand? While a love letter is all about expressing how you feel about the person, it is recommended to keep your current level of relationship in mind. If things are in the early stages, you would want to take it slowly. You don’t want the bells to start ringing too early! It will be best if your love letter has expressions and emotions appropriate to where your relationship is presently. If you have just had your first date, there’s so much you can write, yet with some considerations. As already mentioned, love letters are all about the good feelings, your love and admiration for the person. Let it be clear that there shouldn’t be any kind of criticism in your love letter. In fact, even gentle teasing should be avoided to prevent any misinterpretation. There’s a difference in how you express yourself when speaking and writing, and you may not always achieve the same results with both. If he’s you love interest, you should also remain positive to expect any kind of response. Write From Your Heart – A love letter written from the heart is beautiful and ‘perfect’. It should be all about being respectful. You should be polite and courteous throughout the letter, using it as a medium too express your feelings which may not be as easy to explain in words. Remember, a love letter is something that not only expresses your deepest feelings. It should also make the person fall in love with you. Be Honest – When you write a love letter, be honest in expressing your feelings. Don’t create something that’s not there and don’t make it feel like artificial. Share your true deepest feelings. Your letter doesn’t have to be long enough. The more honest and true you are, the more the special someone will feel connected to you. Remember, honesty goes miles in drawing someone’s attention and interest. It’s not something that’s easy to find these days! Once you think that your love letter is ready, there’s still a lot more to do. You should go through it at least twice before it is ready to be sent. When you read through it again and again, you will come across so many things that you may feel should wait a little longer. Then there will be so many things you could add to enrich the letter further. In fact, editing your letter can make it even more beautiful while removing the flaws, if any. Now that you have got a pretty good idea of how to write your love letter, it is recommended to have a hand-written letter. There’s a world of a difference between hand-written and printed love letters. The former represents your personality and is capable of creating a connection. It tells the person more about you. Even when they are reading the letter, their subconscious will be gaining more information about you from your handwriting. They will think of you from an entirely different perspective compared of reading a printed letter. Keep it natural and you will certainly notice the difference it makes. If you know how to write in cursive, do so! It looks great when well done. Writing a love letter can be one of the most difficult things you can do as long as you keep it to your true feelings. You can write almost anything in it depending on the level of your relationship. A simple rule to writing an effective love letter is to write from your heart. Jot down everything you feel about the person and go through it time and again, editing and removing all the flaws. It is as simple as such and there’s no tact to it. Your goal is to show that you love, admire and respect the person, and if you are writing to a love interest, you shouldn’t ever worry about their response. Remember, life is all about expressing your love. Other things don’t matter! The Poet’s friends will sometimes ask how easy is it to set up a website? What follows is a long conversation with friends about what website they have in mind and a whole slew of questions related to commitment, monetization, recommended hosts, WordPress.com vs. WordPress.net and more. Recent reports indicate that there are over 1 billion websites on the Internet. Wow! Is there room for one more? You betcha. Starting a website has never been easier. Sure, there are lots of things to consider. You’re probably going to want your website mobile responsive. With more and more people accessing the Internet from smart phones and tablets, you’re going to want a site that looks great in all formats. Other questions include where do I host my website? Should it be a WordPress site? What theme should I select? What are my objectives for the site? Do I want to monetize my site? How much content do I need? The Poet followed the program set up at Sports Feel Good Stories under “How to Start a Sports Blog.” Even though it’s sports focused, the advice goes for any type of site including fashion, cooking, fan site, etc. When you’re first starting out, some of the most critical decisions need to be made including what you choose for your URL. Many of the great names are gone. Also, at the earliest stage you have to make your most important decision regarding who will host the site. 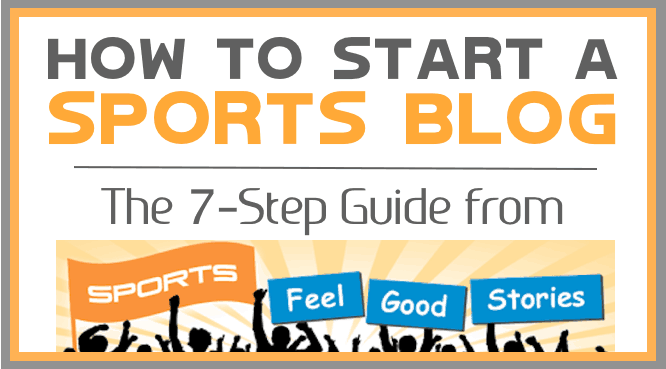 While there’s lots to consider, a guide like “How to Start a Sports Blog” can be a tremendous help. When The Poet started this site, he did a lot of research on the best content management system, the easiest to learn, the best host, best practices and more. A few hours of study in advance might save you hours of headaches.